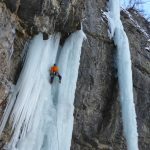 Learn the basics with this introductory ice climbing course in Fassa Valley, Italy, with IFMGA-certified mountain guide Renato Bernard. This is your chance to try a new and exciting activity. 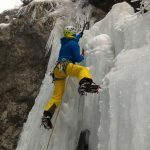 With this 1-day introductory ice climbing course in Fassa Valley, you’ll learn all the progression and security basics! 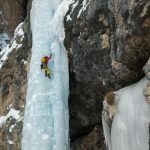 Ice climbing involves climbing inclined ice formations and it is generally practiced on frozen waterfalls or ice gullies. 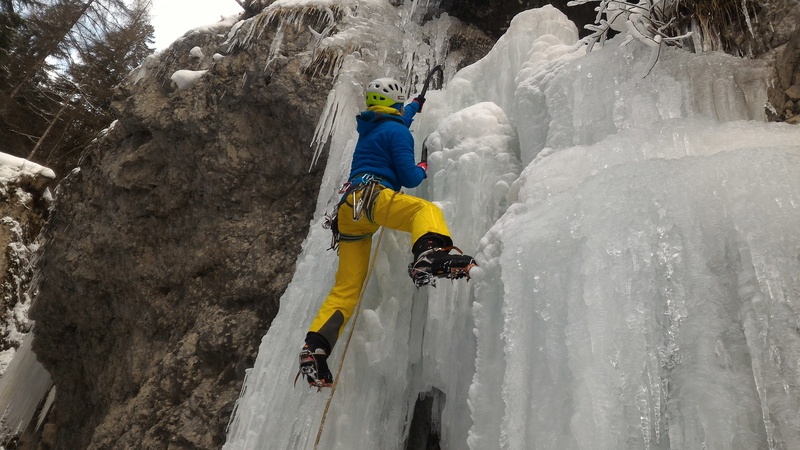 With this ice climbing course you’ll discover a fun and adrenaline-pumping activity. I guarantee there will be excitement to spare! You’ll make your first steps on ice, learn how to use crampons and ice-axes, and even attempt to climb your first ice formations. 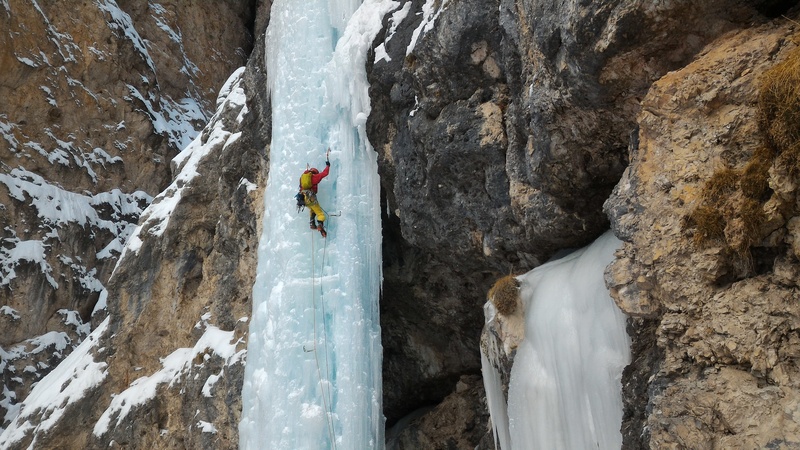 All the necessary ice climbing equipment (harness, crampons, ice-axe and helmet) can be provided free of charge. You need to bring warm clothing (see “More info”) and boots that can fit crampons (or ski boots). 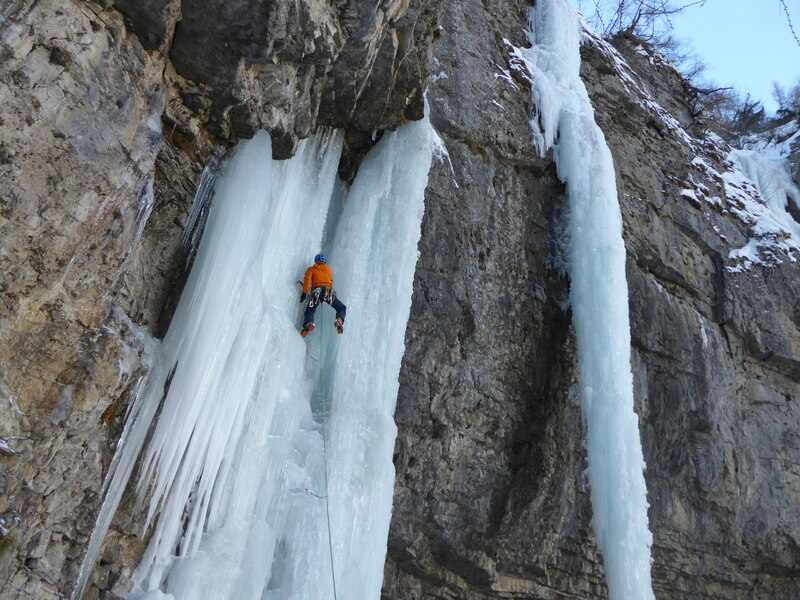 This ice climbing course is available to adults and teenagers (14 years and over). However, bear in mind that you need to be in good physical condition. Winter is the only time to practice this activity so make sure you plan in advance. 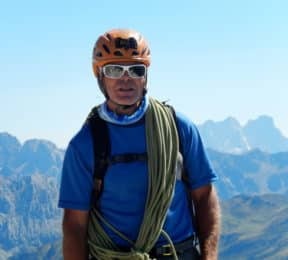 If you’re visiting the Fassa Valley during the winter months and would like to check out another of the activities I propose, please take a look at my Guided ski tour in Dolomiti SuperSki. Contact me right now and I’ll answer all your questions regarding ice climbing and our day together. It will be a once in a lifetime experience! “Casa delle Guide” (Mountain guides' office) in Campitello di Fassa. Make sure you bring along: layers of warm clothes, cramponable boots (alternatively downhill ski boots), gloves, hat, a winter jacket, warm pants and a backpack.